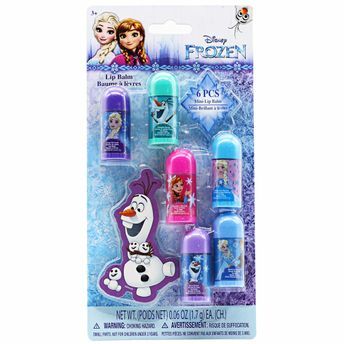 Disney Frozen Lip Balm Kit is the perfect gift for any Frozen lover! This kit contains six shades of lip balms which will keep her lips moisturised and nourished all day long. These Frozen - themed mini lip balms are decorated with cute pictures of her favorite frozen character, and each has its own delicious fragrance.